This page includes President's Message columns from the 2005 issues of Across the Fence Post. About this time of year many of elected officials give their "State of…" speech. Bush’s "State of the Union", Doyle’s "State of the State", etc. So, I’ll follow suit, with my own version: Liedtke’s "State of WFSC". Unlike some long-winded politicians, I’ll keep this oration short, briefly highlighting three opportunities and three strengths. Strength #1 State Convention Show- Our WISCOPEX show is the highlight of the WFSC year. In 2004, we all owe our graditude to Maurice Wozniak for chairing the show in Iola. In 2005, look forward to WISCOPEX in Madison, as our state organization returns to our state capitol. To me, our strong annual stamp show is exciting and essential. Strength #2 Vital Federation Leadership- Another major strength (and it makes your President’s job easy) are all the talented, delightful fellow-collectors who serve in Federation leadership. Our secretary and treasurer (Karen Weigt and Paul Schroeder) are the real reason this organization continues to serve the state’s stamp collectors. Our group of vice-presidents are dedicated, creative and passionate towards our hobby. Opportunity #1 Growing Club Membership- Your President is confident in the hobby’s bright future, including swelling local club rosters. Stamp collecting will always attract a variety of personalities and interest-levels. Each generation produces a mass of philatelists. Wisconsin’s 50 and 60 year olds are attentive to hobby’s benefits of down-time relaxation, intellectual stimulation, motivations of organization and accumulation, and (key to our clubs) opportunities for social interaction and friendships. Opportunity #2 Your President’s Job- A key opportunity for improvement in 2005 is the job your President does. I feel like I’m not putting the time into this role as I should. I’d like to be a dynamic leader with the ability to implement new ideas and to communicate a vision of promise and vitality to all the collectors in the state. Working full-time and going to school full-time has obviously limited what I can do for the federation. Opportunity #3 More Newsletter Articles- Our newsletter needs more articles, writers and columnists. Please take the opportunity in the new year to submit some material on your collection, specialty or commentary on the state of our hobby. Our editor will welcome your efforts and can find space for either big or small. ATFP has a long tradition of being more than just news about the federation and a listing of state shows. Please help by sharing your creativity, interests and knowledge. May 2005 be blessed and peaceful! Maybe your New Year’s Resolution is to learn more about your stamp collection. Or, to renew your interest and excitement in your stamp collection. Or, to become more involved in your local Stamp Club and our state-wide federation. Obviously the most direct way to become involved is to attend your local club meetings. That is what WFSC is mostly about, supporting and linking the local clubs throughout the state. There’s a good chance (if your reading this article) you recently attended a club meeting. Keep it up throughout 2005! You’ll find other knowledgeable and friendly collectors, a place to trade and bid for new material and to keep in touch with what’s happening in your favorite hobby. A more adventurous approach would be to attend a neighboring city’s stamp club meeting. I know from my growing-up years in Appleton that we would travel to Green Bay club meeting once a year (in June). It was fun to meet everyone and see how they run things. I’m sure many of you visit other clubs, or belong to several clubs. If not, give a try. Contact our Central Office for contact and meeting details. Visiting a local stamp show is an invigorating way to become more involved, either in your current collection, or exploring a new area. Wisconsin is fortunate to host many local shows. You’ll find one (on average) almost every other weekend, in places ranging from Green Bay to Sheboygan to West Allis. Two national (APS-sponsored) major shows this year are in Milwaukee: National Topical Stamp Show in June and MILCOPEX in September, both at the Sheraton Four Seasons near the airport. Please come to WISCOPEX 2005 in Madison! It will be outstanding and exhilarating. Show your involvement be serving as your club’s delegate to our Annual Meeting. As President, I try to keep the business meeting to two hours, tops. Exhibiting in Madison is open to all members of a WFSC-member club. Give it a try! A 16-page display (one-frame) is a fun way to teach others about your collection and learn a great deal yourself. Exhibits are also featured at the Rockford stamp show. National exhibiting competition is featured at NTSS and MILCOPEX. Write articles for your club newsletter or Across the Fence Post. It could be a few paragraphs, a page or two, or a regular column. I know your editor would appreciate the submission and can help encourage along the way. You’ll love seeing your name in print, I always do. Check out WFSC.org because our website features our efforts to promote stamp collecting in our state, lists all WFSC-member clubs and officers and gives fascinating historical details. Finally, and most importantly, thank all the folks around the state who volunteer to serve as WFSC officers and committee members. Most likely one of these generous collectors is a member at your club. Thank them at the next meeting. They are the real reason our federation continues and is successful. WISCOPEX 2005 in Madison (April 16-17) is our state convention and will be an outstanding show! Each member club has the right and responsibility to appoint a voting delegate for the Annual Business Meeting. Because Madison is our state capitol and centrally located, I am expecting a strong turnout of delegates from a high proportion of clubs. In the past, maybe half or more of the clubs would send a delegate to the meeting. As President, my wish is to see closer to 100%. I will be contacting clubs to make sure they’ve chosen to send a delegate. I promise to keep the reports moving along and to keep the meeting less than two hours. That will leave plenty of time to visit the dealers and exhibits! The delegates will vote on a slate of WFSC officers whose term will begin on July 1. To get your name (or the name of your buddy) added to the slate for consideration, contact me or Vern Witt, chair of the nomination committee. The positions up for grabs are President, Vice President, VP Youth Division, and the seven Regional VPs. (Secretary and Treasurer will be elected again in 2006.) Our federation remains strong because of the dedication and ideas of this group of officers. We thank those who currently serve and would welcome any new faces. The executive board met in Fond du Lac on January 15 in sub-zero temperatures. Sixteen officers and appointees braved the cold to convene for our three-times-per-year executive session. We received news that Lake County (Illinois) is dropping federation membership. We are confident in the plans of the Badger Stamp Club, host for WISCOPEX 2005. We revised newsletter deadlines necessary due to our editor’s planned surgery. We voted to participate in National Topical Stamp Show (June 17-19 in Milwaukee) with a society promotional booth. We began to search for a new webmaster and thanked Jay Bigalke for his talents and efforts. We learned how the Wisconsin State Quarter cover was designed and assembled, thanks to Jay, Paul and Karen. We discussed workshop ideas for club officer training, to be held at MILCOPEX 2005. It was a busy and invigorating meeting. "New Webmaster and Call to Convention"
Let me tell you a little bit about of website. wfscstamps.org is our flagship to the world. Thanks to past webmaster Jay Bigalke and our new webmaster Ted Gifford, we have a colorful, useful and information-packed web presence. Most of us now use the internet to enhance our hobby. It is vital for our federation to be "on-line"; for promotion, resources, history, and name recognition. For example, if any stamp collector (any where in the world) searches the web for "Wisconsin" and "Stamp Clubs", they will likely find our website very quickly. The same thing is true for "Wisconsin" and "Stamp Shows". The purpose of WFSC is to promote and tie together the clubs (and their shows) in our great state. wfscstamps.org has some brand new exciting links. Each local club is listed by location, meeting times and contacts. The website lists upcoming shows, including WISCOPEX 2005 this month in Madison. It provides many resources, such as past newsletter articles, club ideas and resources, plus our history and how we are organized. "The Wisconsin Idea" can be consulted by any group wanting to organize a federation in their own state. Executive Secretary Karen Weigt gets emails every week from people wanting a find local club or to attend a local stamp show. Regional Vice President Art Schmitz heard last year about an elderly woman who was attempting to dispose of her husband’s collection. Just this morning I spoke with a lady who is attempting to get a stamp issued for Sterling North, a 20th Century author, born in Edgerton, WI in 1906. She could tell from our website we are active and successful. We give many thanks to Ted Gifford and his son Ben Gifford for the recent "face-lift" and adding many new WebPages. They have some interesting ideas for further improvements. Please visit wfscstamps.org; you’ll like what you see! The annual meeting of delegates will by April 16 in Madison at our state convention, WISCOPEX 2005. This is the official call for delegates to attend, business to be introduced, and for lively discussion. We’ll have dealers, exhibits, a banquet, a postal station, many new and old friendships, and plenty of fun. Let the convention begin! At the April 16 Annual Business meeting at WISCOPEX, club delegates elected a new WFSC President, Maurice Wozniak. You have chosen a strong leader, consummate philatelist, and proven enthusiast for our federation. He will advance stamp collecting in Wisconsin and take WFSC to new heights! Maurice probably needs no introduction for most collectors in the state. I am proud to pass the WFSC gavel to my friend, knowing I will remain active on the board and in the state collecting community. Maurice is retired as a newspaper journalist and Krause publications staffer. He recently held the lofty position of Minkus catalog editor, and was a frequent contributor to the pages of Stamp Collector and Stamp Wholesaler. His written word is exceptionally captivating and sets a standard for philatelic journalism. 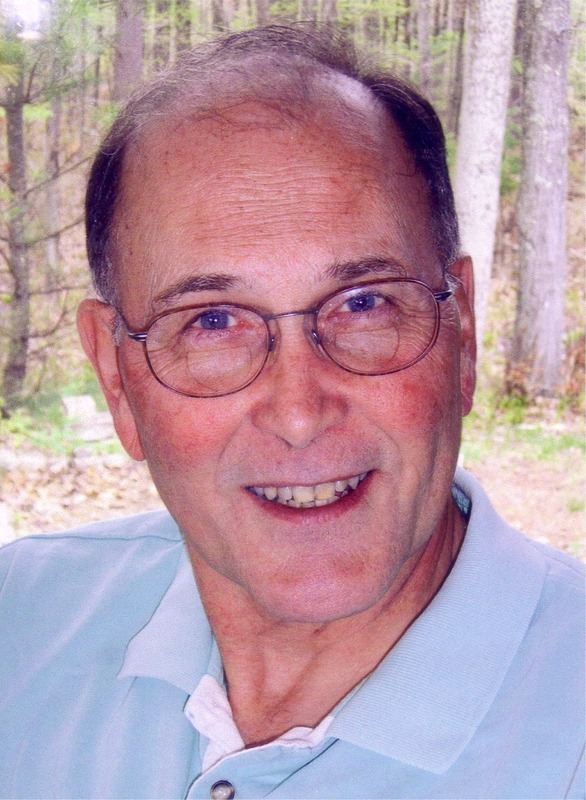 He has published articles in The American Philatelist, ATFP and other stamp and general interest publications. Maurice lives in Iola, WI and chaired WISCOPEX 2004, personally coordinating the countless tasks of running a regional stamp show which is a duty usually taken by one of the clubs in our state. He works very well with other leaders and has great success brining his ideas into action. We welcome Maurice into the WFSC’s top job! Thank you for everyone for your support, energy and commitment! I’m not going away, I plan to participate in federation board meetings, local club meetings, and state shows for a long, long time. Stamp collecting is my passion because of all the people who have become friends and all the fascinating aspects of history, society, culture, politics and technology. It will continue for a lifetime. An advantage an outsider has in stepping into a job in any organization is that he doesn’t haul with him any interfering baggage. I hope that holds true as I step into the position of president of the Wisconsin Federation of Stamp Clubs. Admittedly, you see, I have precious little experience working with the governing board. Still, I have been aware for many years of the work the Federation does to promote stamp collecting in Wisconsin (and a few enclaves just over the state lines). The first time I saw a Federation table, as I recall, was at a stamp show in Milwaukee, shortly after my children’s interest had rekindled my youthful fascination with stamp collecting. I had to ask about the role of the WFSC, and at the time, I wasn’t convinced that the hobby needed any support. I remembered what it was like in the old days, when I learned high school history from United States stamps and wondered with fascination about the exotic beasts on stamps from some foreign countries. That was when plate blocks consisted mainly of four engraved and single-color stamps, which cost 12 cents at the post office. Of course at that time a movie cost only 14 cents. In the interim, I quickly found out, hundreds of thousands of collector-investors, disillusioned when their hobby did not become an easy path to a pot of gold, had dropped out, and many of those who remained bemoaned their bad luck in being hooked on stamps. Despite their negativity, I became a born-again stamp collector. I wrote features on the hobby for The Milwaukee Journal, where I worked at the time, and when an editor’s job opened up at Krause Publications in Iola, which bought Stamp Collector and the Minkus line of catalogs, I moved north and became a professional philatelist. A few years later, I suggested that WISCOPEX, the annual statewide stamp show, could be held in Iola. The board agreed, and after I retired, in response to a plea for someone to be chairman of WISCOPEX ’04, I volunteered. Some people must have liked the way that show turned out because I was asked to volunteer again to seek the WFSC presidency. So I did – and was elected by the board in April. I plan to use this newsletter space each issue to encourage you to have fun too. I’d like to urge you to share your hobby with others by creating an exhibit from your collection. All of us who see your exhibit will be able to enjoy your collection with you that way. Maybe someone else who sees it will take up the hobby and eventually join one of the Federation stamp clubs. That will help revitalize the clubs. As an outsider, I want to hear your ideas also. You can see how to communicate with WFSC officers on Page 2 of each newsletter. Let us know what the Federation can do better, how the clubs can reach out more effectively, and how WISCOPEX can be more attractive to you. We want to help you enjoy your hobby more because that makes stamp collecting more fun for us all. Malcolm X was a stamp collector. Maybe the firebrand Black Power leader was not a card-carrying philatelist (I don’t know), but an article in the New York Times this spring revealed that among the objects found on his body after his assassination in 1965 was "a North Vietnamese stamp showing an American helicopter getting shot down." I guess that would make him a topical collector. It may not be the kind of topic I would choose to collect. Nor would Malcolm X’s politics have endeared him to many mainstream collectors then or today – even though he was chosen by the United States Postal Service to be part of the Black Heritage Series of postage stamps in 1999. But the fact that he had that stamp on his person when he was murdered means he was captivated by the stamp and what it meant, just as all of us who call ourselves stamp collectors are attracted to some aspect of stamps -- their design, their uses, their production, their subjects, whatever. The rosters of the clubs that make up the Wisconsin Federation of Stamp Clubs show a wide variety of interests, and I would hope we welcome any collectors, not just the ones who fit into some narrow niche of the hobby. I suspect that no one invited Malcolm X (or Malcolm Little when he was a star pupil in grade school or later when he spent time in prison) to join the local stamp club. That almost sounds like a goofy notion today. But who knows how the seed would have grown if he had a stamp collector as a friend. The point is, you never know who’s a stamp collector. For example, the young man who tried to sell my wife and me a package of portraits after we sat for a photo to be used in our church picture book asked if the design on my tie showed an upside-down Jenny. It did. It was a gift from my son one Christmas. The photo guy said he had a stamp collection when he was younger; in fact he probably still had it somewhere, he said. I sympathized with the pressures of life that kept him from having fun with stamps and suggested that he might get back to the hobby sometime. We need to attract more members to our clubs, for their good as well as the health of the hobby, and we can do that by actively reaching out to find collectors and then inviting them to share their enjoyment with us. Some people connected with the hobby believe there may be more dedicated collectors (not just accumulators) today than ever before, based on activity on the internet. We have to find more of them and invite them to join our clubs. I know this has been said before, but I hope you all will take some action to match the lip service. For example, see if your local newspaper will list your club meetings, along with a brief program mention. You might turn up some closet collectors. See if you can staff a small table at appropriate community events. A modest exhibit of harvest-related stamps would attract attention at fall celebrations. Christmas stamps would be good for winter events. Fish or flowers would be appropriate in the spring. Put together interesting packets of canceled stamps to give away to kids. They may not stick with the hobby, just as the young man with the portrait sales did not, but they may remember the fun they have and return later in life. When you get their attention, give people a simple flyer or three-fold brochure that will inform them about your club and invite them to join. There must be many other ways to reach out. If your club or you, individually, have found a way you enjoy, please let us know with a note. I have started to keep a file of methods that I’ve read about, and I plan to share them with you some other time. Our goal must be to uncover more collectors, help them grow into the hobby and use their enthusiasm and knowledge to enhance our own appreciation. We have to do it together for the future of philately. Volunteers make an organization like this worthwhile. They’re the ones who make things happen – or make things not happen, when that is necessary. They meet, they plan on members’ behalf, they discuss, they phone, they write, they preserve, they impart their knowledge. I can’t say enough about what volunteers do to keep the Wisconsin Federation of Stamp Clubs operating and serving the hobby of stamp collecting. Usually, these volunteers toil in anonymity, but when you need them – when you need them – they are available. At least once every two years, new Federation presidents get to announce appointments. It’s a way to maintain continuity, and I’d like you to look on this list as a pat on the back of all whose names are listed. Some are listed several times, and I find that disturbing. On one hand, it’s proof of the old belief that if you want something done, find a busy person to do it. On the other hand, it may be an indication that too few people are pitching in. To address that situation, I’d like to see two developments over the next two years: I’d like all of these appointees to invite friends who they think could help to join them actively in their volunteer efforts. And I hope more of you will volunteer to help, especially if you see an area that needs a skill that you possess. American Philatelic Society Rep.: Karen Weigt, handles WFSC chapter membership and correspondence matters with APS. American Topical Association Rep.: Robert J. Mather, handles membership and correspondence matters with ATA. Corporate Registered Agent: Karen Weigt, ensures annual incorporation reports are filed. Finance Committee: Chairman Paul Schroeder, Tim Wait, and Fred Ziemann, review budgets, control inventory, and make financial recommendations to the WFSC executive board. Publicity and Public Relations Committee: Co-Chairmen MaryAnn Bowman and Karen Weigt, appropriately and aggressively promote a positive image of the WFSC through various media. Judging Committee: Chairman Frank Moertl, Rob Henak and Vern Witt, maintain a list of WFSC judges and apprentices and provide judges and judging guidelines for member-club shows, recruit and train judges, and provide awards criteria and current judging sheets. Bylaws Committee: Chairman Karen Weigt and Perry Harris, periodically review bylaws and standing rules, and consider and recommend amendments to reflect changing times and functions of the WFSC. Awards Chairman: John Fagan, maintains awards and ensures proper distribution. Committee on Exhibitions: Chairman Robert Matzek, Al Marcus and John Pare, counsel WISCOPEX host clubs and periodically review and update the Rules for Annual Exhibitions in the Blue Book. Hall of Fame Committee: Chairman Tim Wait, Verna Shackleton, and Art Petri, publicize the WFSC Wisconsin Philatelic Hall of Fame, seek and screen nominations, and ensure the Hall of Fame functions and formal inductions are handled in an orderly, respectful manner, and maintain the permanent record book. Nominating Committee: Chairman Paul T. Schroeder, Al Marcus and Brian J. Liedtke, canvass WFSC clubs for qualified candidates for the offices of president, vice president, secretary and treasurer. Historian: Verna Shackleton, gathers and maintains the historical files and WFSC memorabilia. Blue Book Coordinator: Tim Wait, prepares and disseminates updated WFSC Blue Book pages and necessary. Editorial Advisory Council: Chairman Ted Gifford, Ken Grant, Karen Weigt, and MaryAnn Bowman, set guidelines and serve as counsel for the editor. Wisconsin on Stamps, 2nd Edition: Author-Editor Karen Weigt, Greg Schmidt and MaryAnn Bowman, update and produce the publication for sale. Cover Exchange Program: MaryAnn Bowman, publicizes the annual program and handles exchanges. Show/Bourse/Club Meeting Flier: Karen Weigt, gathers information and produces the annual flier. Club Exhibit Pages Promotional Program: MaryAnn Bowman, prepares the annual set of pages for club use. Webmaster: Ted Gifford, develops and maintains the WFSC Internet site. Speakers Bureau Coordinator: Karen Weigt, maintains a list of speakers and topics and promotes their availability. Wisconsin Stamp Suggestion Committee: Temporarily vacant, promotes Wisconsin-related U.S. Postal Service issues. Philatelic exhibitions are the fireworks displays and business meetings of the hobby, and philatelists in Wisconsin have been blessed this year with several significant shows. I hope the trend continues, and I urge all the clubs in the Wisconsin Federation of Stamp Clubs to help make the shows better and better. In this regard, it’s important, I think, to understand the value of stamp shows to all of the stamp communities and to understand how a quality show is put together. For collectors, shows represent a way to broaden interests. Sure, you may be able to find an elusive stamp at the table of a dealer you may not have seen before. You may even unearth a new interest in yourself or have a question answered by looking over the exhibits, talking with dealers or fellow collectors, or attending an informational seminar. Keep in mind that shows can attract people from all the spectrum of the hobby – experienced collectors as well as those just getting the bug, whether a child or an adult, and uncertain as to how to pursue this grand old hobby. Usually, there’s something for everyone at a good show. The more compellingly it is presented, the better the show. Dealers use shows to find new customers or reinforce their appeal to those they already know. In addition, they use shows to find new product to add to their inventory. These can be collections you are no longer interested in, culls from your collecting activity, collections offered by the heir of a deceased family member, or even items that one dealer doesn’t want to fool with. Some dealers are also collectors. They might find stamps or covers they need for their collections. The United States Postal Service also can find customers. The presence of a USPS retail table at a show usually is a plus. Especially when a stamp is being issued in conduction with a show, collectors are eager to buy recent issues, and if the clerk is knowledgeable about the products that’s an advantage. Exhibitors (collectors who have raised their own bar another notch) see stamp exhibitions as a way to show off, certainly, but also as a way to compete and improve their exhibits. Sponsoring clubs, and their members, get to show off a bit too if their efforts pay off with a good show. They might even find new members if the show is well promoted and attracts the general public. That’s just about the only real gain for a club; the fee schedule for a show is usually set so low that any profit is minuscule. You get the idea: A good stamp show is good for everybody in the hobby. I especially enjoyed three large shows I attended this year, starting with the American Topical Association national show in Milwaukee in June. The ATA show feature that sticks with me is the exhibition put on by a dance studio based on the Latin dance stamps that would be released later in the year. The annual American Philatelic Society Stampshow this summer offered a lot for everyone – first-day ceremonies, seminars, many dealers, first-class exhibits and excellent attendance. Stampshow was held in Grand Rapids, Mich., this year, so my wife and I made a driving and sightseeing vacation trip out of it, which added to the appeal of the two days we spent at the show. Consider working stamp shows into your vacation plans. A stop or detour for your hobby can be very entertaining, and the rest of the family probably can find something else to do even if you can’t drag them into the exhibition. Milcopex in September once again was filled with fascinating touches, not the least of which was the unique first-day ceremony for the Silver Coffeepot 3-cent definitive stamp. Some guests were served coffee at café tables and singers performed coffee-themed songs, along with the usual talks about the stamps. Milcopex, in the last two years, is becoming a show that would be worth your driving from the farthest corners of the state to enjoy. Maybe your own little club shows can’t compete today with these larger ones, but you can still try to make each one the best show you’ve ever produced. Try to involve more members in the planning and operation so everyone in your club develops a feeling of connection with it. Finally, let me urge you to try to attend the Washington 2005 World Philatelic Exhibition, May 27-June 3 next year. World-class shows like this are generally held once in a decade in any country. The philatelic aspect might be enough to draw you, but if not, consider the myriad attractions of Washington, D.C., in the early summer. It’s high on my list. When we moved to Waupaca County almost 10 years ago, friends counseled us, "If Fleet Farm doesn’t have it, you don’t need it." That’s the same mentality as the welcome committee questionnaire that asked, "What kind of truck do you drive?" That was in jest, I think; there was no "none" answer. Anyway, Fleet Farm (like its relative chain, Farm and Fleet, in other parts of the state) does have a decidedly flannel-shirt, no-frills reputation. On a recent visit to the Waupaca store, I expected to find paint and plumbing supplies to take care of some chores. As I walked past the service counter I did a double take. Sure enough, a little tri-fold brochure trumpeted, "Collector Stamps." Was this philately at Fleet Farm? On the front were illustrations of three Wisconsin hunting or fishing stamps, and the source of the item, the Wisconsin Department of Natural Resources. Inside, it was decorated with a line of stamp shapes. Basically, the brochure explained that the DNR no longer issues stamps automatically when a person buys a so-called privilege to go after turkeys or trout, for example. Oh, the stamps are available, the DNR says, but they’re not valid for hunting or fishing. "Many of our customers collect the various stamps, and with this in mind, stamps are still being printed and will be available for collecting purposes," the brochure said. If you want a stamp, which no longer is proof that you have paid for permission to hunt or fish for those species, you have to request it specifically at one of the 24 DNR service centers for the price of the privilege. If you make the request through the mail, you have to add $3 to the total for handling. I imagine the DNR printed many thousands of those brochures and sent them to its license outlets to answer the questions of collectors and encourage its customers to become collectors. It occurred to me that it’s not uncommon to see advertising aimed at stamp collectors. From time to time, I get offers in the mail to subscribe to a first-day cover service. Just the other day I saw an ad in a general-circulation magazine offering an Elvis Presley souvenir sheet. The advertising must work; the companies making the offer wouldn’t stay in business if the ads found no takers. People are taking to our hobby every day. More stamp collectors are out there. To keep our clubs viable, we must find new collectors, invite them to club meetings, show interest in their efforts when they show up, and make them part of the club’s activities. Let’s not keep all this fun to ourselves; let’s share it liberally.